This week, alternative credit data provider FactorTrust announced a partnership with predictive analytics and digital decisioning company, Enova Decisions, to integrate FactorTrust’s proprietary data into its Colossus digital decisioning platform. Executives highlighted the integration will strengthen Enova Decisions’ platform with additional proprietary data that will result in improved automated, real-time operational decisions for its customers. Chicago-based Enova Decisions supports numerous industries, including financial services, telecommunications and higher education. The company’s data-driven solutions can help clients in the financial services industry specifically improve their operational decisions instantly and at scale. In its 14-year history, Enova, parent company to Enova Decisions, has extended more than $19 billion in credit to nearly 5 million customers around the world, using Enova Decision’s advanced analytics and decisioning technology. “Adding additional non-traditional data is important to our overall data integration strategy,” Enova Decisions chief analytics officer Joe DeCosmo said. “FactorTrust’s proprietary data helps fill in the gaps that traditional data can’t provide—and contributes to our analysis of consumer data in real-time through our tailored analytics, AI and decisioning technology. “This further enables our clients to quickly transform their underwriting, offers, payments decisions and more, to deliver a better customer experience and improve business performance,” DeCosmo added. In other company news, FactorTrust was named one of the fastest-growing private companies in the U.S. by Inc. 5000. 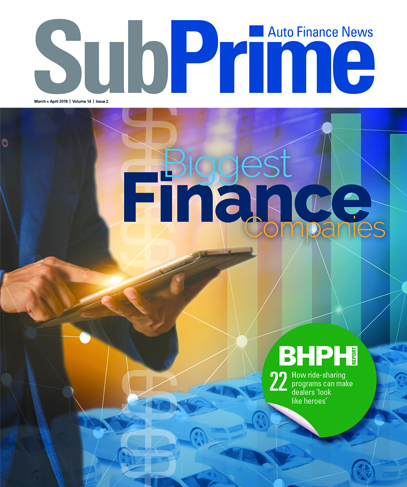 For the second consecutive year, not only was the company the only private, alternative credit bureau to make the list, but it was also ranked the eighth fastest-growing financial services firm in Georgia. This is the fourth year FactorTrust has been named to the list for its significant growth in revenue and company size. The list represents a unique look at the most successful companies within the American economy’s most dynamic segment— its independent small and midsized businesses. The average company on the list achieved a three-year growth of 481 percent.